As I am waiting for my DA560 to get back from a trip to Japan, GAS reared it's ugly head and led me to this, a seemingly incredibly rare lens in the form of the 'Sigma EX 800mm f5.6 AF', in K-mount no less. From the looks of things, it has a genuine Pentax style aperture ring, but unfortunately there are no pictures of the lens mount on the eBay listing. Any thoughts? Given that it has a PK to M43 adapter mounted on it in a photo I would hazard to believe that it has a PK mount. Looks reminiscent of a German Stick Grenade. Could be useful for blowing images up I suppose!!! 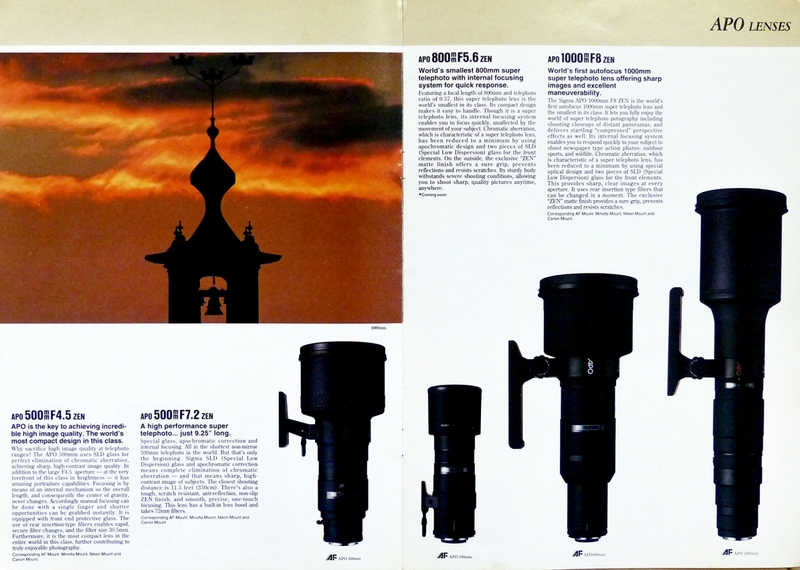 The first mention of a 800mm apo is from 1991 on the sigma history page.This lens is from 1999 apparently, and is only listed as Nikon, Canon, Sigma mounts. Definitely requires mount clarification. Of itself I wouldn't pay anywhere near asking price for well used lens like this, BUT if it is pentax HSM (history spec page does say HSM) then rarity changes that. I can suggest the rarest is the 1000mm f8 from 1991 see this scan. Last edited by marcusBMG; 03-19-2019 at 07:49 AM. From the size of the thing, I can see why the seller insists on collection in person. Also the aperture ring has an "A". Nikon doesn't have that, I don't know about Sigma SA or Canon EF. I'm pretty sure the SMC Pentax-M 35/1.4 lens is the rarest. So rare that it has only been seen in pictures released by Pentax?